With Halloween just around the corner, what better way to get into the Halloween spirit but then to do some fun Halloween Crafts for Kids? You have come to the right place at The Best Ideas for Kids to get inspired with so many fun Halloween activities and crafts for your kids! 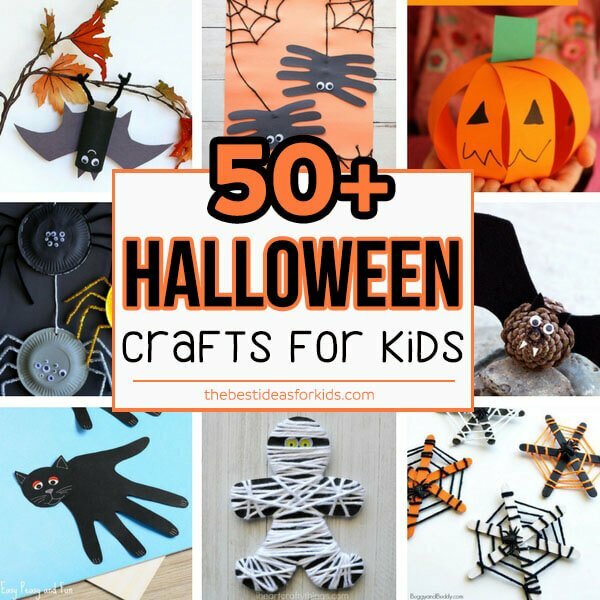 We’ve gathered over 50+ of our favorite Halloween kids crafts. Which one is your favorite? We’ve broken down the crafts into different sections for you to make it easy to find the perfect Halloween craft for your kids! Pumpkins have to be one of our favorite crafts around halloween. We especially like to make the pumpkin slime and have fun playing with it afterwards! And for a fun no-carve pumpkin decorating idea, be sure to see our melted crayon pumpkin tutorial. 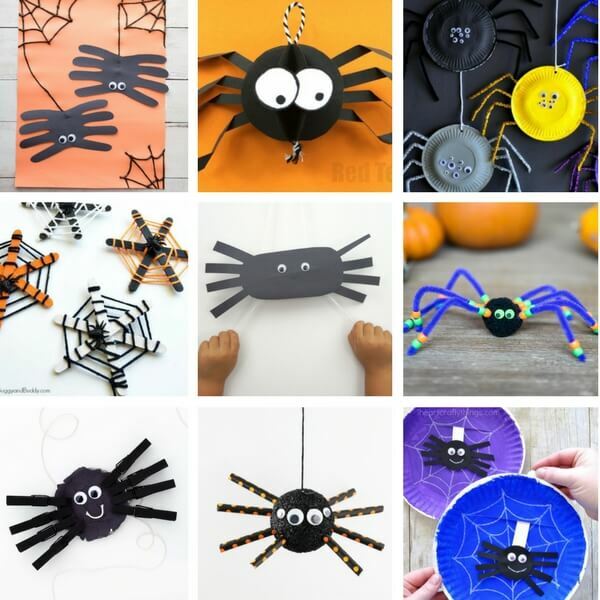 There are so many fun spider crafts listed below – from handprint spiders, moving spiders, climbing spiders and craft stick webs! And if you haven’t seen the video of our spider handprint, hop over to the post to see how it’s made in action! 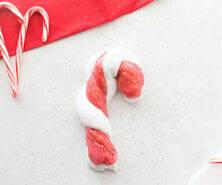 Making mummies can’t be any easier! 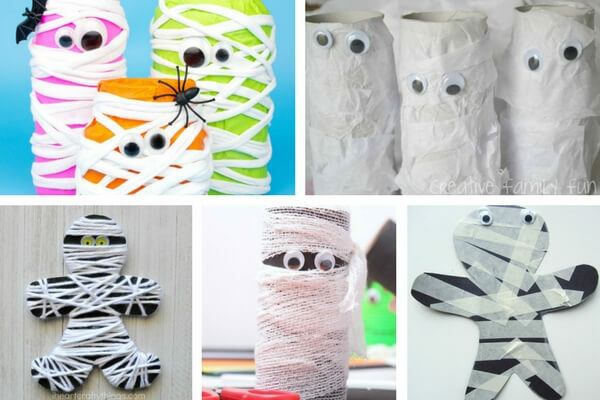 Grab some yarn, paper, gauze or tape and voila you have some pretty impressive mummies to share. And don’t forget the googly eyes! RELATED: See these adorable mummy cake pops – such a fun treat for Halloween! Who says witches have to be scary? 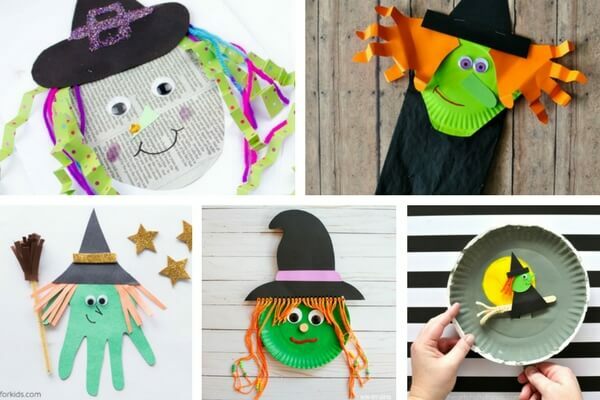 These friendly witches for Halloween will keep your kids busy! 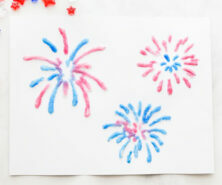 We especially like the handprint witch card (it opens up to let you write a message inside!). 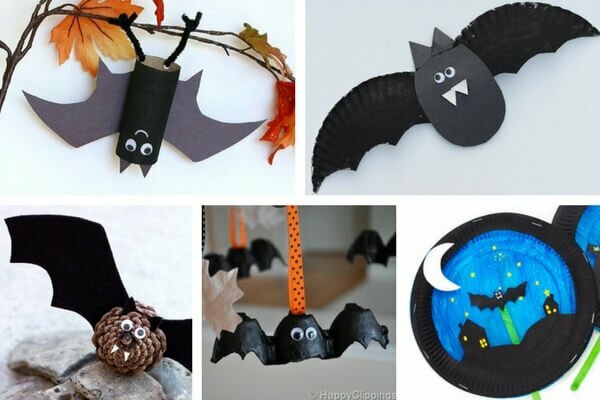 We think these bat crafts couldn’t be any cuter! The egg carton bats would look great hung up for a halloween party! And attach some of the paper tube hanging bats to your plants around the house too! 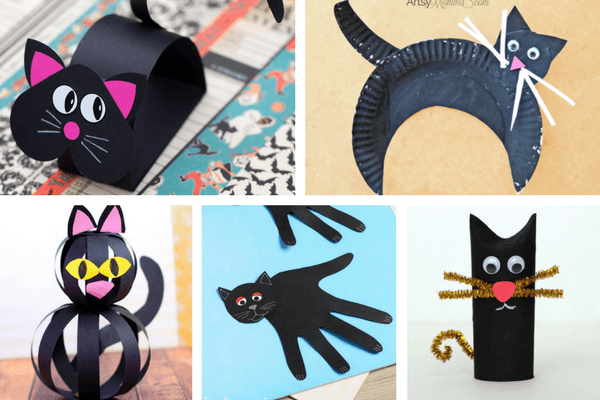 These black cat crafts are perfect for Halloween but you can also have fun making them anytime of the year! Just change the color and make colorful cats too. 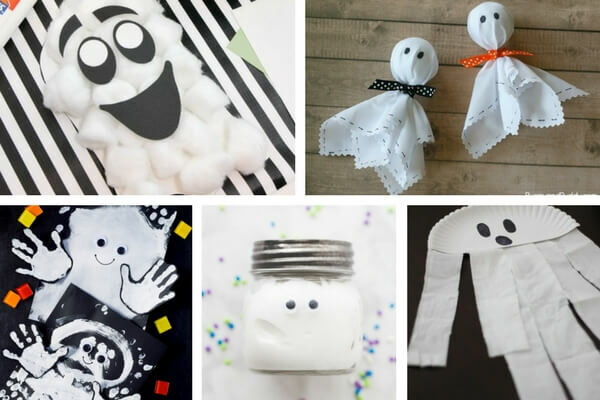 Finally we have our favorite ghost crafts from cotton balls to handprints these ghosts are more friendly than scary! RELATED: See these easy spooky halloween cookies and ghost marshmallow treats! 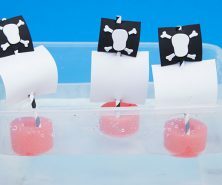 Looking for more Halloween crafts for kids? 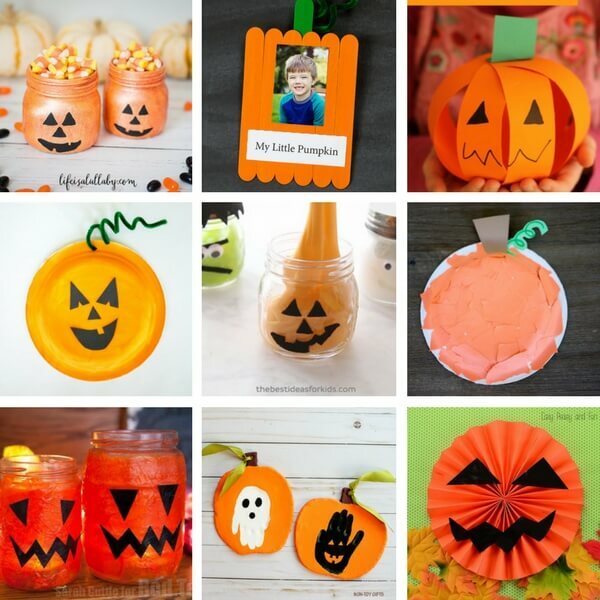 Check out these other fun Halloween craft ideas – perfect for toddlers or preschoolers too! And if you love all of our handprint crafts here, be sure to check out these handprint spiders and handprint witch craft! 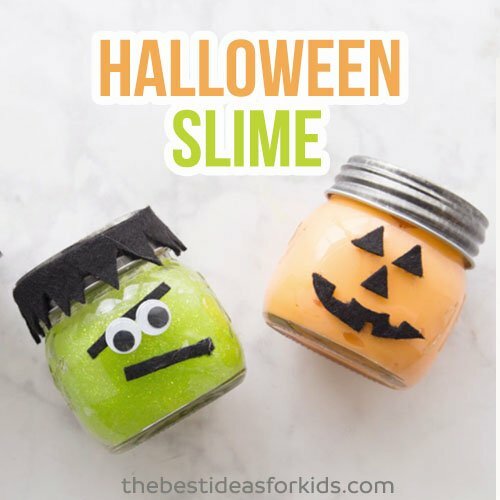 This Halloween Slime is perfect to make with kids and also would be great to give as gifts at a Halloween party! Oh how I love these ideas. Can’t wait to try these with my great-granddaughter. Thank you so much! Happy Halloween!